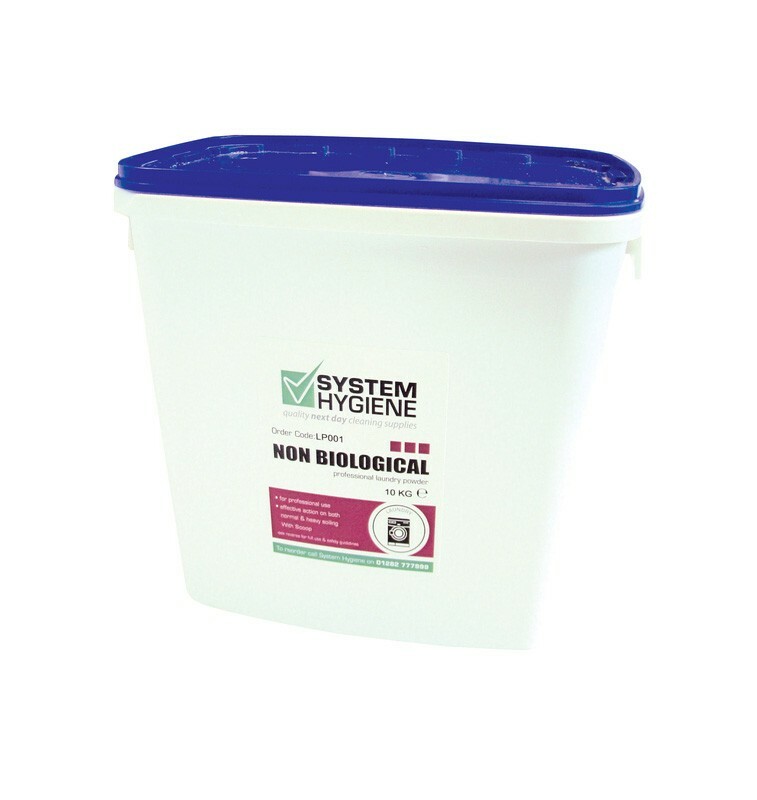 System Hygiene Non-Biological Professional Laundry Powder is effective for use in all industrial laundries, schools, nursing homes, laundrettes and even at home. 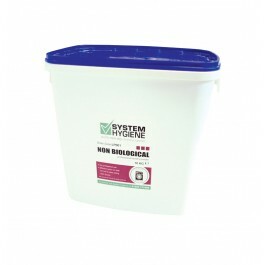 Biological powder also available from stock. For normal soiling use 1 scoop of powder, or for heavy soiling use 2 scoops (both for a normal 5kg load). For hand washing, dissolve 1 scoop (135 grams) in 10 litres of water. Ensure powder is fully dissolved.